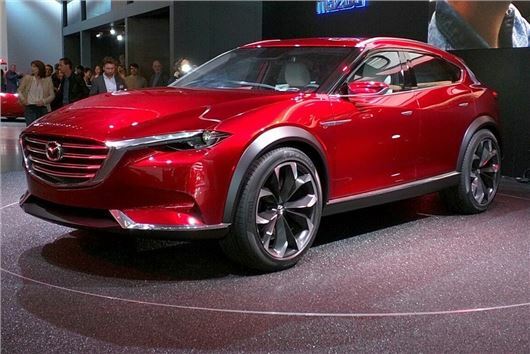 Could Mazda be set to launch a sporty crossover? Well, if this striking SUV coupe is anything to go by, we certainly hope so. The covers came of the Koeru concept car at this year’s Frankfurt Motor Show. With the same dimensions of the CX-5, it could sit in between that car and the CX-3 to give stylish SUVs like the BMW X4 a run for their money. With its 21-inch wheels, flared wheelarches and aggressive styling, we’d say that this is a model more concerned with high-speed stability and on-road handling than off-road prowess. And while it hasn’t been given the green light, we’d say that it’s an accomplished design that with a few tweaks could easy be made production ready.